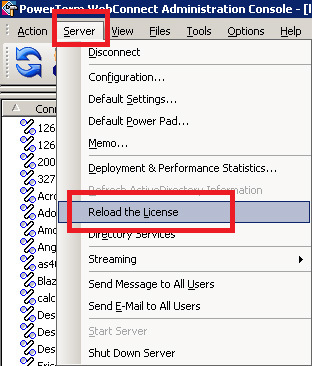 How to Activate PowerTerm WebConnect? Where can I find the Key to Send to Ericom? 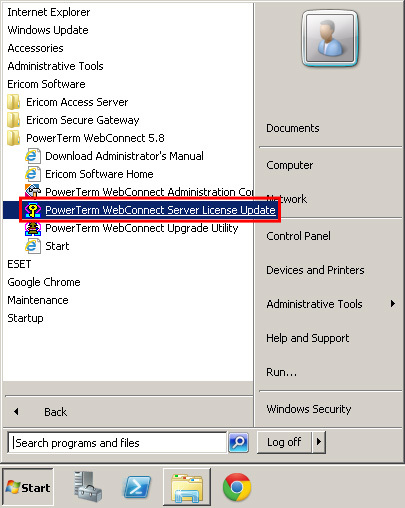 The Key to Send to Ericom can be found on the PowerTerm Server License Update dialog. 2. 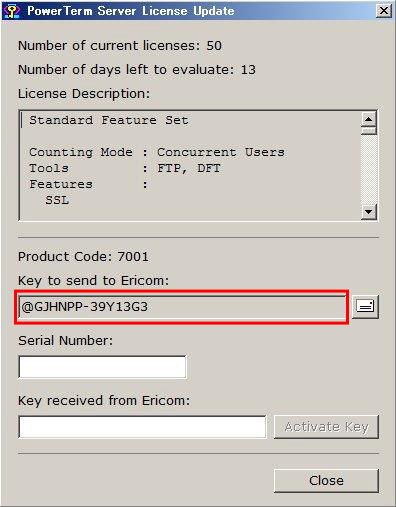 From the PowerTerm Server License Update dialog, copy the "Key to send to Ericom"
1The Serial Number appears in the license agreement (pdf) you received from Ericom when you purchased your product.